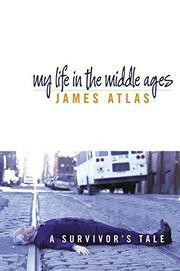 Long-time literary journalist Atlas (Bellow, 2000, etc.) contemplates life and death in 11 poignant essays that chronicle the trials of growing older. Originally published in the New Yorker, this “personal history” has universal implications. “Mom and Dad,” “Home,” “Money,” “The Body”—who doesn't have a book’s worth of thoughts and anxieties about any one of these biggies? Discussing events and relationships we all experience, the 50-plus author presents himself as an everyman complete with wife, kids, and a career that’s had its ups and downs. He can’t help but yearn for the American dream of stability, money, and happiness, but more than that he wants to understand how life works and what it all means. Atlas tells the stories of his family, colleagues, and friends, a well-educated urban crowd who should by all rights be happier than most, if money and education are the measures. But it ain’t necessarily so. What makes My Life outstanding is the author’s gift for peeling the veneer from the ordinary to reveal the significance beneath; his tendency toward the melancholic can be forgiven when it comes paired with his incisive observations. His son’s tennis prowess, for instance, prompts reflections on the gradual deterioration of his body, as well as a recollection of the day not so long ago when Atlas beat his own old man for the first time. “Failure” takes as its departure point the time just a few years ago when Atlas was fired from a job, but the essay moves on to consider the mystery of what success means, and how we all torture ourselves over the wrong-headed choices we’ve made. These painfully honest pieces are remarkable when taken in smaller doses, but reading them all at one sitting could be a body blow for those of a darker disposition.